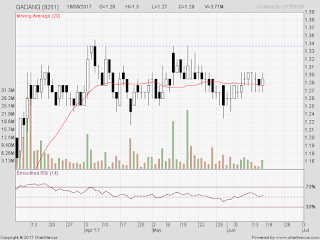 Hevea :breaking 1.42 at the hour I m writing now ... 11.55 am. 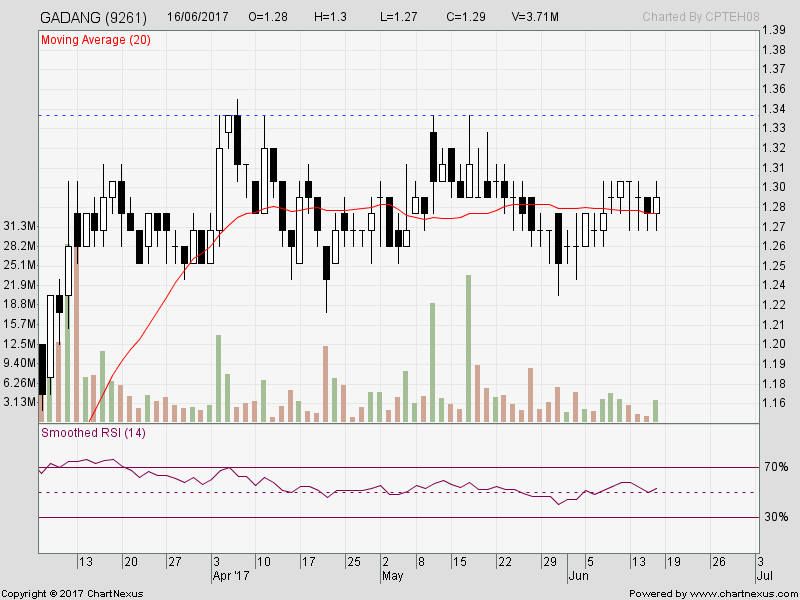 So, I grabbed Hevea-wb ... for trading purposes. Hevea-wb is zero-premium. 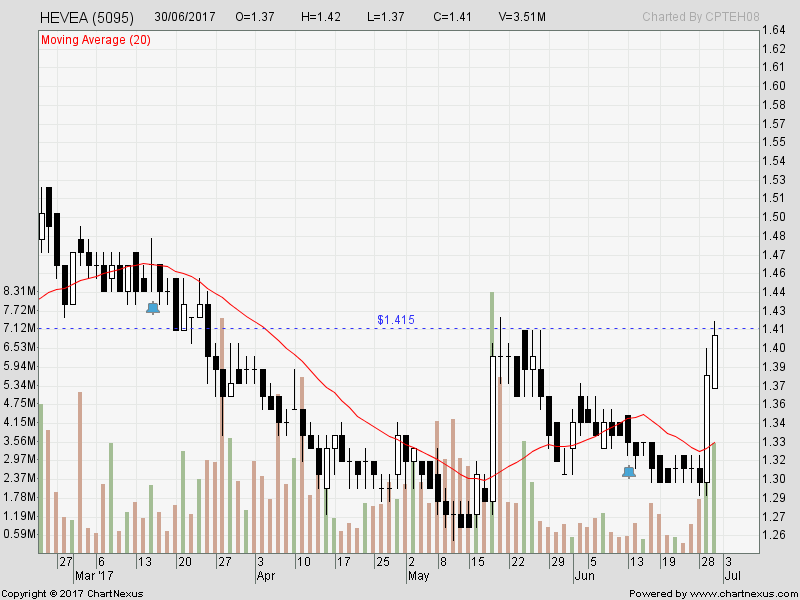 1st July ... looking for breakout ... and do short-term trading for few days. 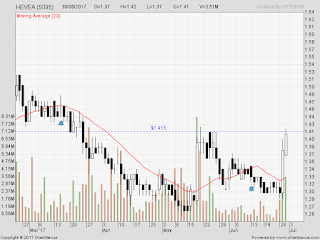 Gadang : Watching it to breakout too ... but I won't buy high-premium warrant Gadang-wb. Buy mommy. It is July ... one may want to join my stock-watch group, to trade together and to learn. Tonight e-meeting 9.30pm ... I will send the link here (trial) as I do have e-meeting every Monday 9.30pm for members only. Watch this page for the link tonight.